On your next trip to the Centennial state, venture north of Denver to explore these off-the-beaten-path destinations in one of the state’s brewing hotbeds—the Boulder-to-Longmont corridor. Denver may be the capital of brewing in Colorado, but Boulder (and its close neighbor Longmont) are, arguably, its spiritual center. Home to the Brewers Association, the American Homebrewers Association, and Colorado’s first craft brewery, the Boulder area has a long history of leading and inspiring brewers both inside and outside of the state. It’s no surprise, then, that the breweries formed in this formidable shadow have found acclaim—there’s something in the water, or at least in the regional brewing gene pool, that almost guarantees it. The big names are familiar—Avery, Oskar Blues, Left Hand—but despite the popularity and scale of their national brands, experiencing them on their home turf is a far more intimate and rewarding experience. Likewise, these institutions have trained and seeded a creative new generation of brewers making their own beer that you’ll rarely find outside of their taproom. So grab a designated driver and get started on this itinerary to sample some of the best that Boulder, Longmont, and the surrounding areas have to offer. If you drink craft beer at all, it’s almost certain you’ve heard the name Avery Brewingat least once. These Boulder-area stalwarts have been doing their thing for 23 years now and have done plenty of pioneering work in barrel-aging and sour-beer fermentation, but most of that history was spent in an unassuming (and parking-challenged) business park lovingly named “the alley.” Last year, Avery built their dream brewery just outside of Boulder in Gunbarrel, and the gleaming temple of the brewer’s craft is a must-visit. If your goal is a meal, book a reservation in advance on Open Table—the limited space in the upstairs dining room gets booked fast, and the alternative is often a two-hour wait for a table. But the good news is the kitchen is fantastic, and you won’t regret it. If you do have to wait, grab a beer from the bar and stroll through the raised walkways on the self-guided tour overlooking the brewery. Before you leave, check out the cold cases across from the hostess stand—Avery is notorious for stocking it with vintage bottles from their barrel-aged series. Upslope Brewing’s Flatirons Park taproom. 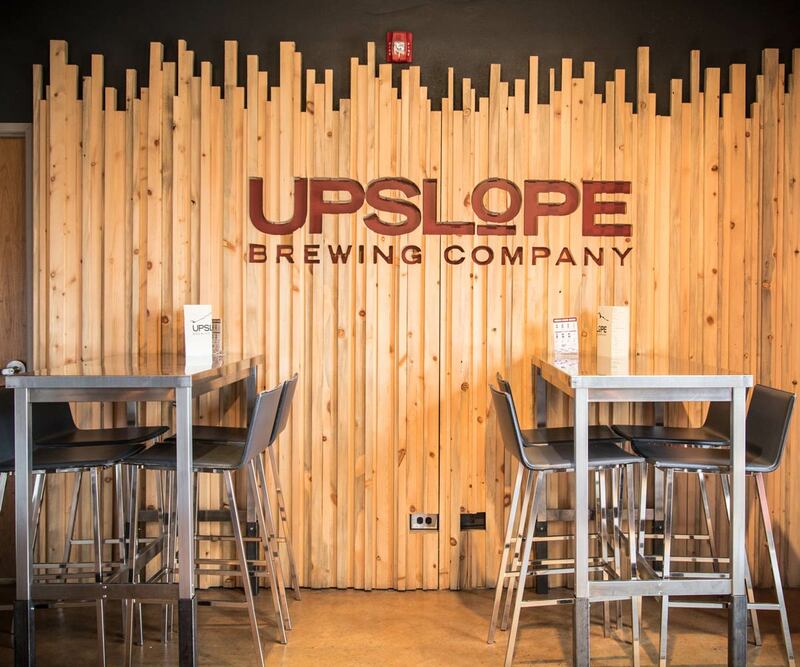 Back in Boulder proper, a visit to one of the Upslope Brewing locations should be next on your list. The original brewery on Lee Hill Road now handles small and specialty batches, while the main production brewery in Flatiron Park pumps out larger volumes of cans, but either offers a deep tap list of beers you won’t find on store shelves. If you visit the Flatiron Park location on a Friday, pop into White Labs’ Colorado office next door and sample some of the test batches brewed with their range of brewer’s yeast. 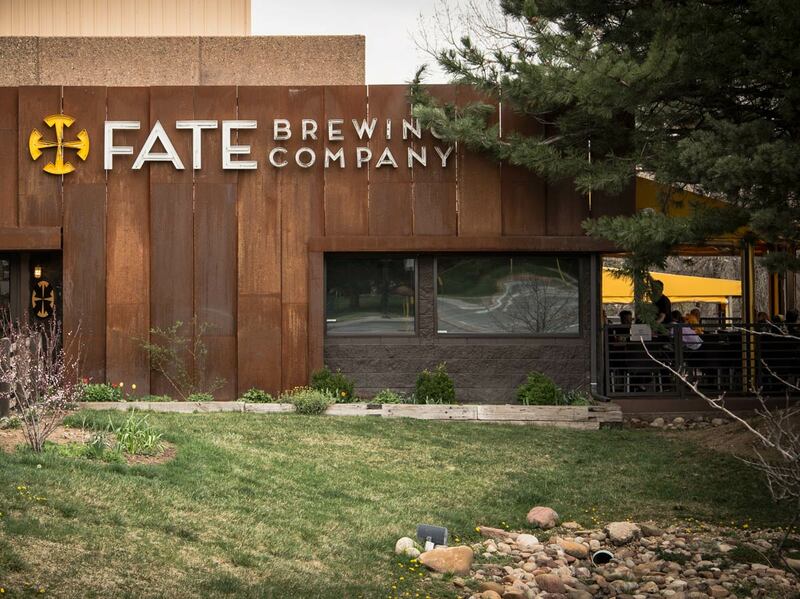 Fate Brewing’s rugged exterior houses a beautiful modern interior and great beer. Minutes away is Fate Brewing, a clean, modern, stylishly appointed brewpub just up Arapahoe Road. 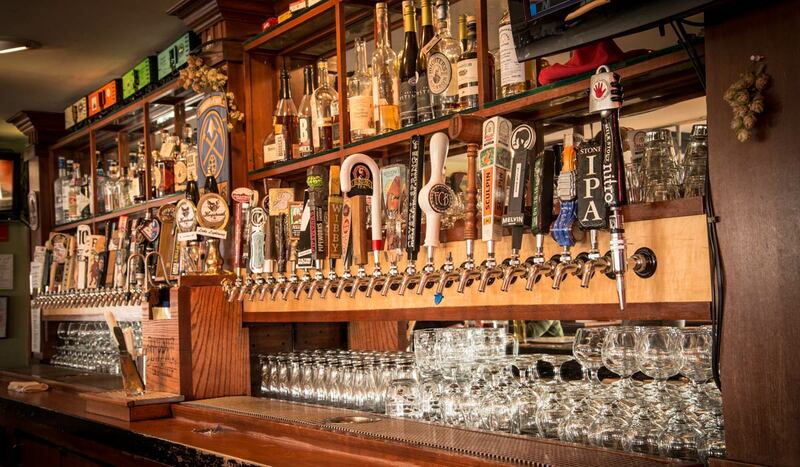 It’s perpetually busy, thanks to a winning combination of solid beer and creative menu. They’re most known for lighter styles, such as their Laimas Kölsch (2014 GABF gold medal winner) and Uror Gose, and their brewing is understandably focused on lighter styles that pair well with meals. Similar, but different, is the brewpub Brü, also on Arapahoe. Here, Chef Ian Clark brews beer to accompany his food, with culinary-inspired flavor combinations, and uses the by-products from brewing as ingredients in his dishes—a creative and delicious full-circle approach. Backcountry Pizza’s sixty-eight taps are a must-visit for serious beer fans in Boulder. 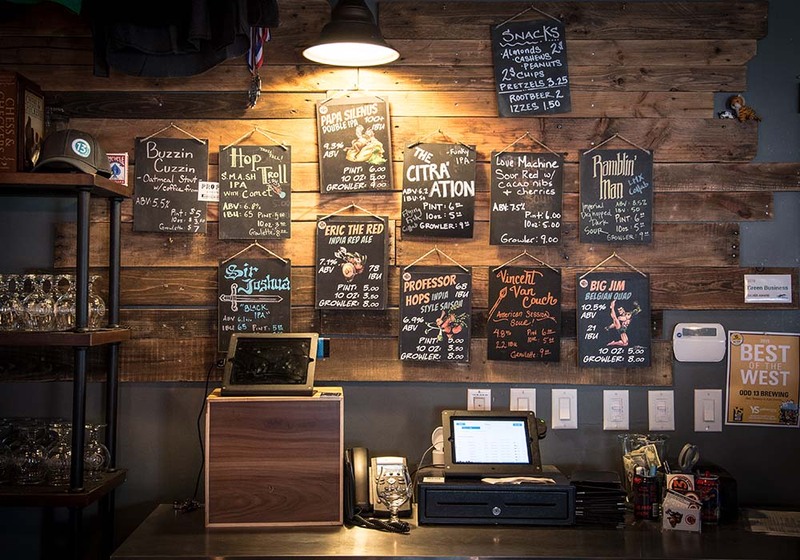 For a more casual menu and an absolutely stunning tap and bottle list, make your next stop at Backcountry Pizza. 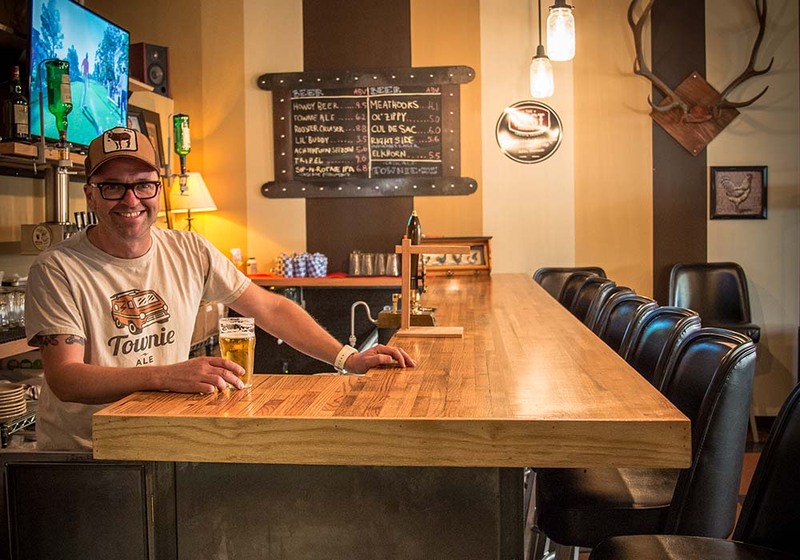 Owner John Fayman is a true beer lover, an investor in Wyoming’s Melvin Brewing, and is currently working to open Denver’s first sour-beer bar, Goed Zuur. It’s no surprise, then, that the sixty-eight taps include beers you won’t find anywhere else in Colorado or that the bottle list includes deep sour selections from Russian River, Jolly Pumpkin, Jester King, Crooked Stave, and a handful of Belgium’s best. If history is your thing, Colorado’s first craft brewery, Boulder Beer, is worth a stop. And if the Czech beerhall experience is one you crave, then a visit to the Bohemian Biergarten won’t disappoint. If you’re looking for bottles to take back home, do yourself a favor and first check Hazel’s Beverage World. Those visiting from more beer-challenged states might be taken aback upon stepping into Hazel’s—it’s the size of a grocery store and even features a P-51 Mustang hanging from the rafters. Wednesdays and Thursdays are great days to shop—the very rare releases go quickly once they make it onto the store shelves. Liquor Mart is similarly scaled with door after door full of local and regional craft beer and worth a visit. Lastly, Colorado law only allows companies to own a single retail beer, wine, and liquor location, so every store in the entire state is a one-off (there are no chains). However, even the big grocery chains have taken advantage of their legal right to operate a single liquor store, and Whole Foods located theirs in Boulder. If you’re making a longer day of it, there are plenty of other solid beer locations in Boulder—Finkel & Garf’s mid-century mod taproom is just down the road from Avery; West Flanders offers just-okay beer from a phenomenal location on the Pearl Street mall; Mountain Sun brewpub has won ten GABF medals over the years and is renowned for stout month every February; the Sundown Saloon on Pearl Street is known for cheap pitchers and college kids but keeps an impressive bottle list that you’d never expect to see; Twisted Pine will melt your face off with their Ghost Face Killah chile beer; and Sanitas Brewing is growing their reputation for creative and well-crafted beers. As you head from Boulder toward Longmont, make a point to stop in the tiny town of Niwot for not one but two quality breweries—Bootstrap Brewing and Powder Keg. At Bootstrap, grab a pint of their Insane Rush IPA and kick back on the outdoor patio. At Powder Keg, hope they have some of their Palisade Reunion peach wild ale available, but if not, they offer a wide selection of their own beers in addition to a healthy tap list of guest beers from folks such as Perennial, Firestone Walker, Melvin, and more. If beer is your goal, then there’s only a single reason to go to Lyons (other than the fantastic mountain biking at Hall Ranch and my favorite bike shop on the planet, Redstone Cycles)—it’s the original Oskar Blues brewpub location. Before the private equity investment and acquisitions, it all started right there. If you’re a fan of the brand, it’s a necessary pilgrimage. The Oskar Blues “empire” extends to neighboring Longmont, and they own and operate no fewer than four separate locations here. The main Oskar Blues brewery features the Tasty Weasel taproom with skeeball lanes that overlook one of their canning lines and an extensive array of taproom-only beers. For casual burgers with your beer, head over to Chuburger and order a Berk Burger—the ground pork patty, bacon, carmelized onions, and blue-cheese butter are exquisite in their excess. For a sit down Southern-style meal, try OB’s Homemade Liquids and Solids. Yes, that’s the one with the painted silo attached to it, so you just can’t miss it. And for something entirely different, Oskar Blues even has the Cyclops Cantina with street tacos, more beer, margaritas, and their very own bike shop. 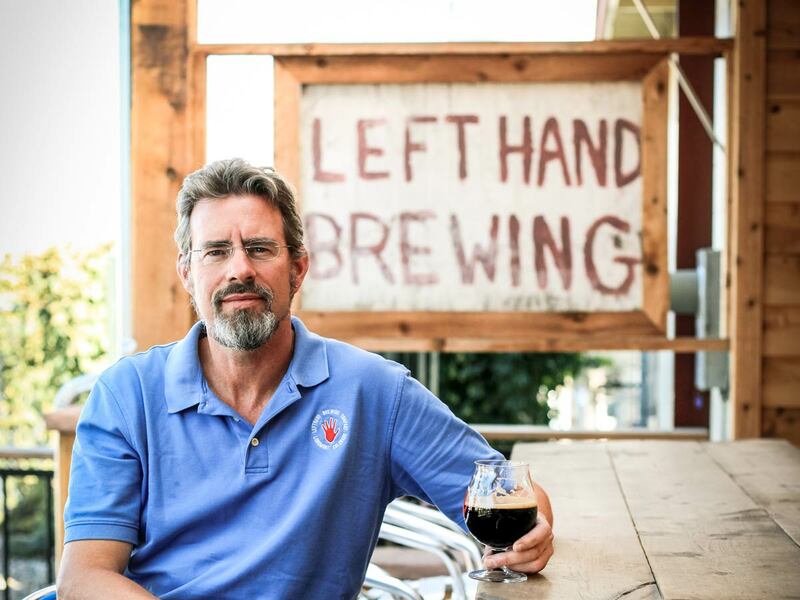 Left Hand Brewing Cofounder Eric Wallace enjoys a stout on the taproom patio of their Longmont brewery. Photo courtesy Left Hand Brewing. For more beer and less lifestyle branding, swing over to Left Hand Brewing and grab a pint of Nitro Milk Stout (rated a 97 by Craft Beer &Brewing Magazine®) from the source. This employee-owned brewery loves to have fun and puts on great festivals just about every other month—from their Hops and Handrails rail jam in March to Nitrofest every November. One of the newest additions to the Longmont brewing scene is Wibby Brewing, (pictured at top) focused solely on lager brewing, and their IPL (along with their cool open industrial taproom) is worth the visit. If bottles are your thing, then make a stop by Wyatt’s Wet Goods and stock up from their deep selection of local and international bottles and cans. Beer-centric spot Parry’s Pizza has just opened a fourth location around the corner from Wyatt’s with 100 taps that focus on really great Colorado beer. Or if you’re in the mood for a Longmont classic, a stop at The Pumphouse will net you some solid pub food and average in-house beers, but their guest taps are always killer. Three years ago, this section would not exist in a story about the area’s beer. But boy, how times change. In that short time, Lafayette has gained two excellent breweries (and a third that most would agree is “good”), turning it into quite the destination. Brewmaster Bryan Selders of The Post Brewing has shifted focus to sessionable beers. First up is The Post Brewing, developed by a local restaurant group known for high-quality restaurants. Normally, you hear “restaurant group” and cringe at the thought of bland beer, but to do it right they recruited Bryan Selders, former Dogfish Head brewmaster, and set him loose to build a brewhouse and brew beer that complements their culinary offerings. While Selders was known for genre-defying beers at Dogfish Head, he’s gone the other direction at The Post, refining simple, sessionable beers into an immaculately crafted lineup. The 4.5 percent ABV Howdy Beer Pilsner is tight, crisp, and palate cleansing, while the 6 percent ABV Cul-de-Sac oatmeal stout is one of the tastiest you will ever have the pleasure of drinking. The most fun way to enjoy the beers is in the 21+ Elkhorn Room in the back—the ersatz Elk or Moose “lodge” with padded leather barstools and trophies mounted on the walls is kitschy, but the beer is the absolute truth. Odd 13’s tap list showcases their ambitious approach to hops, sour beers, and barrel-aged projects. A few blocks away, Odd 13 Brewing has watched their star rise in 2016 on the strength of very creative, hazy, hoppy beers such as their Codename: Superfan IPA. A new separate production brewery with a 30bbl brewhouse joins the 10bbl brewhouse at the taproom, allowing them to pump out cans in greater volume to meet the demand for those soft and fluffy IPAs that are in short supply in the state. If you have the time, stop by Liquid Mechanics in Lafayette and grab a glass of their Peanut Butter Porter before heading off to your next stop. The Old Mine combines a cidery and craft-beer bar with a light menu of pizzas and smoked meats. With a dozen of their own various ciders on tap—everything from dry-hopped to blueberry to barrel-aged—plus another dozen craft beers with a strong leaning toward vintage sours and stouts, it’s a great place to visit if you’re traveling with someone who doesn’t love beer quite as much as you. Take a peek at the bottle list while you’re there—they’ve been known to put back some Belgian gems. Any discussion of Colorado beer inevitably involves Coors and their massive brewery in Golden, Colorado. But lately, Golden has been getting noticed by craft-beer fans for another brewing destination—Cannonball Creek Brewing Company. In a nondescript strip mall behind a 7-Eleven and next to an Anytime Fitness, Cannonball Creek has quietly been pumping out some of the best hoppy beers in the state. It took a while for people to notice—they sell just about everything they make in their own taproom and don’t distribute the beer outside of a few special occasions—but the secret is out. On one recent Sunday afternoon visit, it was almost impossible to find a parking place in the parking lot, as car after car of mountain bikers stopped in for post-ride refreshments. It’s tough to make the trip to Golden for a single brewery, but if you’re heading out of Denver into the mountains, it’s only 8 minutes off of I-70 and worth the detour. Grab a pint of their Mindbender IPA, or if you’re lucky, they’ll have the latest incarnation of their Project Alpha series of experimental IPAs. Beer tourism used to be what we beer geeks just called vacation, but in the past decade “beercation” has become a lucrative trend with a catchy name.